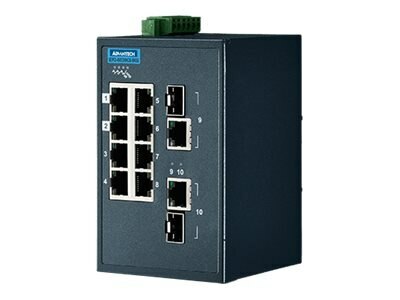 The and EKI-5629C/CI-MB are entry-level managed switch products. They support basic Layer 2 managed function such as Ring, SNMP, IGMP etc. Besides, they support Modbus/TCP and can easily integrate with SCADA. The devices come with a compact metal housing that is IP30 rated to protect against dusty industrial environments. The wide power input power (8.4 to 52.8 VDC) is dedicated to operating in areas of unstable power and rugged environments.